witness students learning about India in their Global Studies unit or developing their reading and writing skills during our reading buddy program. As Kindergarten Lead Teacher Jancy Mundenmaney states, “Our expectations are high and we give students the support through differentiation that allows each student to achieve their greatest potential.” Every day our educators tie the content together across disciplines to build a comprehensive foundation and prepare students for the primary school program. #1: At what level of reading and math do you expect students to enter Kindergarten? We recommend students have letter and sound knowledge. For math, we expect Kindergarten students to identify numbers, and count and identify one through ten. In our classroom, we start off with the basics with phonics and math and build upon this to create a strong foundation. By the time our students finish Kindergarten, they are at a 2nd grade reading and math level and ready for our advanced primary school program. #2: Why is Mandarin taught versus other languages? Mandarin is a required language from Kindergarten through grade 4. Mandarin is taught because it is a character based language, which helps develop critical thinking skills and challenges students to think why are characters shaped the way they are written. Additionally, Mandarin provides students exposure to a language that is spoken around the world. Students take Mandarin three times a week for 30 minutes. #3: What do Kindergarteners do during engineering? Engineering class is held twice a week. Our engineering teacher, Mr. Huneycutt, joins eager students in their classroom to bring this subject to life. In engineering, there is a lot of teamwork, learning how to cooperate, and problem solve. Kindergarten students learn engineering concepts such as buoyancy, weight, incline planes and more. Our students bring these concepts to life by engaging in group work and problem solving on how to design planes that goes the farthest, build boats that float, and more. #4: What is the teacher/student ratio? 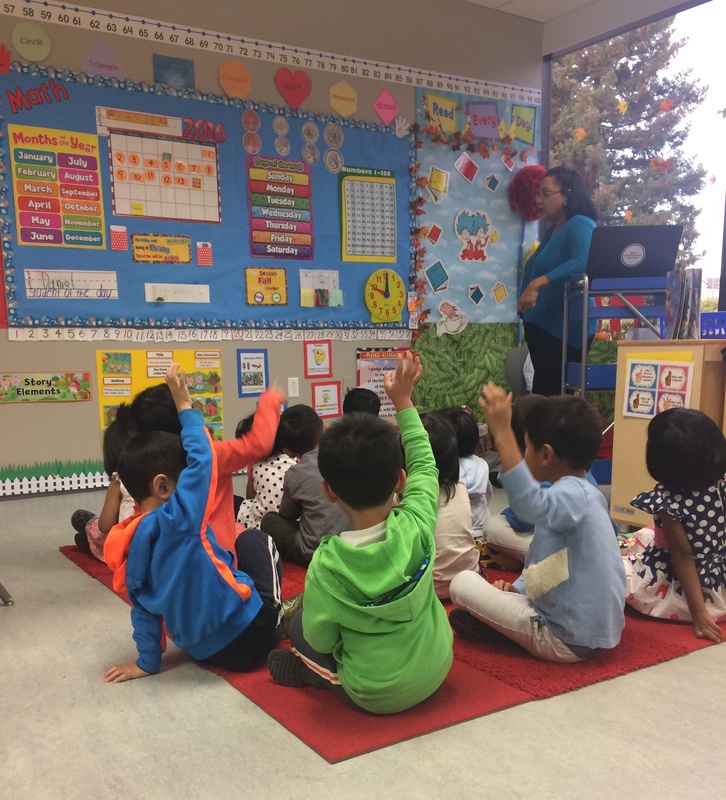 While we cap our Kindergarten classroom at 20 students, our two-teacher model provides a ratio of one teacher to ten students. Our two teacher model consists of a Lead Teacher and a Teaching Fellow. The Kinder Fellow is a partner in the classroom. They individualize the learning styles and needs of students so that the Lead Teacher can primarily focus on the content of the curriculum. The Lead Teacher is responsible for planning and implementing the curriculum. #5: What is the Kindergarten age requirement? Cut off dates can vary at private schools and public schools in the Bay Area. At BASIS Independent Fremont, students entering kindergarten must turn 5 by December 31 of their kindergarten school year. If you have a child who doesn't turn 5 until after December 31 of the kindergarten school year, you need to wait to apply until the following school year. If your child will be 5 before December 31, you are in luck! BASIS Independent Fremont is a Kindergarten-8 private school located in Fremont, California providing students an acclaimed liberal arts and science curriculum. Learn more about our program at one of our informational events.